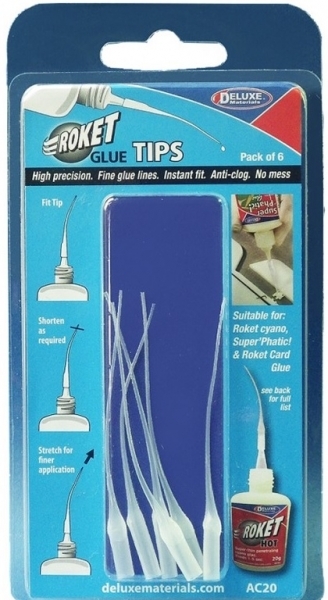 Instant fit- Anti clog- No mess. 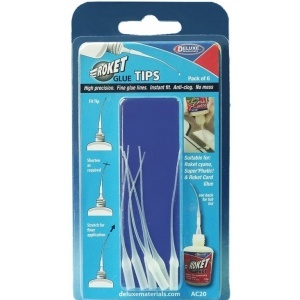 one piece glue tips for the accurate application of Deluxe Materials glues : Roket cyano, Roket Card, Super’Phatic! glue. Tips can be shortened or stretched for finer application.